The Plumbing Pro is the Sewer Pro. We provide free, no-hassle estimates on underground water and/or sewer line problems. We know time is of the utmost importance when your underground sewer is out of commission, leaking or clogged. That is why we are scheduling the complex repairs most every day of the week and have the necessary staff to repair your sewer quickly and affordably. The Plumbing Pro also provides emergency services. We work on all types of excavation projects including commercial, residential and industrial. 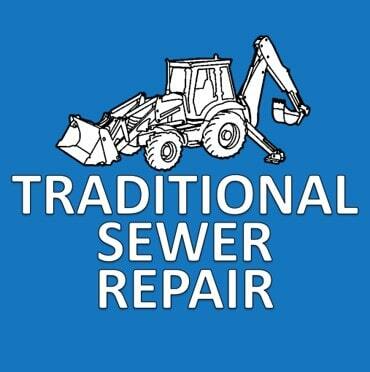 We are proud of our 40 plus years’ experience in sewer repair. We offer both – traditional backhoe excavating and TRENCHLESS sewer pipe replacement. Our skilled plumbers can dig in yards, under driveways, and even inside your commercial or residential property. Wherever you sewer repair problem is located, we have the ability to fix it. The Plumbing Pro features a fully-equipped service vehicles and well-trained sewer repair crew that is experienced in repairing and replacing all underground sewer lines. We are bonded and licensed in Kansas City and the surrounding communities and offer conventional excavation/pipe bursting, hydro-jetting & TRENCHLESS technology. Sewer Repair Is Easily Accomplished In Four Steps. The Plumbing Pro will come out to your property for a free no-hassle estimate. We will either run a camera video inspection of the problem line or if you have the location and depth information from a prior bid – we will then bid you project. If you like the price of our bid, then we will schedule your project and pull any necessary permits from your city. On the scheduled day our team will arrive to do your job. They will safely excavate over the damaged pipe and repair it or replace it. Once the sewer or water line is repaired or replaced we will have the city inspect our work. Our technicians exercise safe digging practices. We will pull a permit with your municipality. Underground water line and sewer line problems need attention when you find them. Once you have discovered your problem don’t just take the first bid, get a few estimates. This will better inform you and help you find the best price in town. The Plumbing Pro sewer and water line leak repair crew will help minimize damage to yards and reduce landscaping replacement costs. We also offer trenchless sewer repair, pipe bursting and hydro jetting. Call The Plumbing Pro and request a quote today. The Plumbing Pro can help you determine exactly your issue with electronic pipe and leak detection and video pipe inspections.